In this post, your trusted custom home builders from Artistic Design Build Inc suggest ways you can keep your kitchen stylish and useful. Installing an under-cabinet or task lighting can make food preparation easier. Install the lighting toward the front of the cabinet because placing it too close to the back wall focuses on the backsplash tile and not the counter. You can also install plug-in lighting strips with motion sensors inside drawers or cabinets so you can easily access tools and read food labels. In your custom kitchen remodel project, consider coordinating the colors of the room’s interior with your appliances. 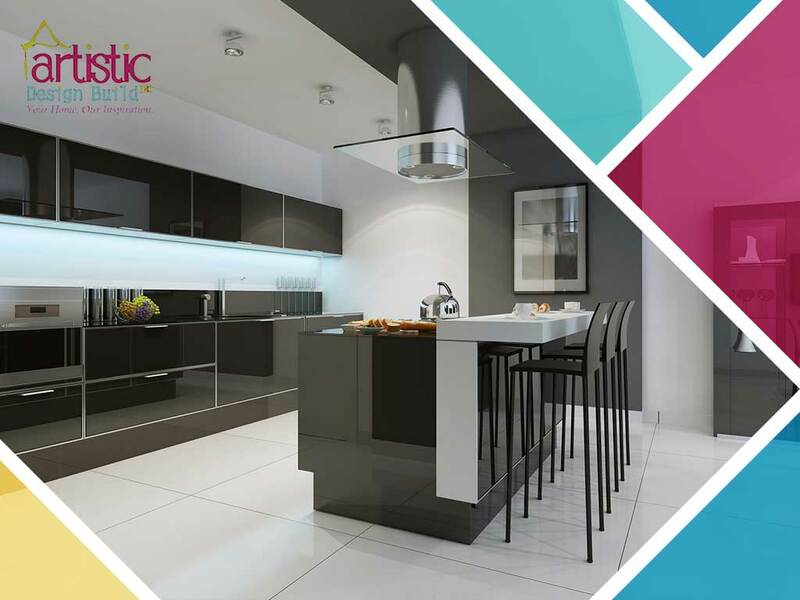 Your kitchen will have a pleasing uniform look and remain functional. Match the colors of your outlets and wall plates with the color of your backsplash tiles. This way, they don’t stand out but remain useful, and the design of the tiles is more emphasized. Store your kitchen items on the wall by using magnets, hooks and rods. When stacked neatly, it can look aesthetically pleasing and you can make the most of an empty, unused wall. Declutter your countertops by installing a two-layered carousel in your cabinets. You can stow away less used items, but they are still accessible if you need them. Organize your cooking essentials in a drawer with spice inserts for easier reach. Hiring reliable home improvement experts can make your kitchen remodeling so much easier. At Artistic Design Build Inc., we are your leading provider of home remodeling services. Our team of experts design bathroom and kitchen plans according to your preferences and style. Call us at (301) 969-3037 or complete our online contact form. We work with homeowners in Potomac, MD.